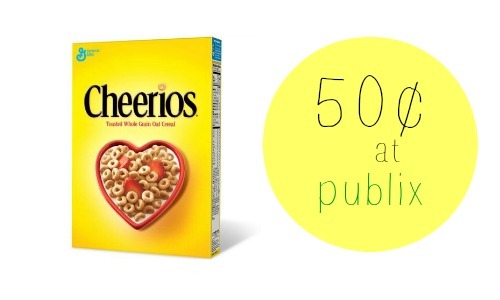 Do you have some Cheerios lovers in your house? Publix has them on sale staring either 10/15 or 10/16 (depending on your area). You can combine a printable coupon and a Upromise offer to get a box for 50¢! This deal will begin either 10/15 or 10/16 (depending on your area). Looking for more cereal coupons?